Thank you to everyone who gave such great feedback on my Eve Pearl Reverse Contouring Video and Giveaway! 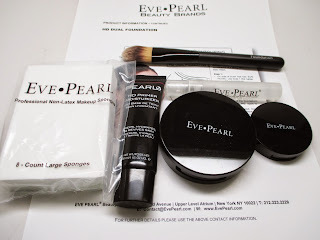 This is a fantastic giveaway and thank you so much to the Eve Pearl team for sponsoring the prizes to a lucky viewer! For those of you who didn't win, stay tuned to enter my Ofra Cosmetics Giveaway coming this Friday!